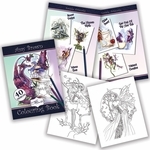 This little pixie wants to spread some cheer, especially during the holiday season! 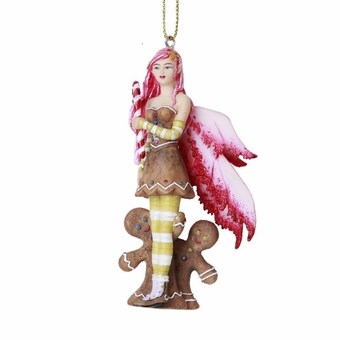 The perfect Christmas tree ornament for a fairy lover, she has wings in shades of pink and white, hair to match, and clutches a candy-cane. The fae's dress appears to be made from gingerbread, and two cookie men join her! Adorable and unique! Size: 1 3/4" x 1 1/4" x 3 3/4"